Fujitsu and KPMG are partnering with PurpleSpace on the lead up to International Day of People with Disabilities #IDPD on 3rd December. 3 December marks International Day of Disabled People which this year also celebrates 10 years of ‘Convention on the Rights of Persons with Disabilities’ and we think that sharing success stories about disabled people in business contributes to the celebrations. The focus is #PurpleTalk, celebrating the power of storytelling when it comes to building disability confidence from the inside out. As part of that activity personal stories from Fujitsu, KPMG and PurpleSpace Charity Partner, Shaw Trust will be released. This activity with all lead up to a Thunderclap on 3rd December to celebrate and recognize #IDPD. Please sign up to the Thunderclap at http://thndr.me/wN78Vj and promote the #PurpleTalk and the Thunderclap via your social media channels and within your Networks to further build momentum and reach as part of the Thunderclap. 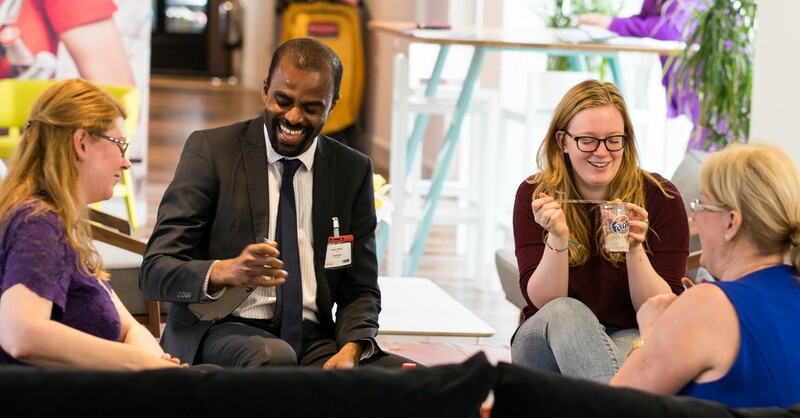 PurpleSpace and our campaign partners: Fujitsu, KPMG and Shaw Trust are encouraging disabled employees, businesses and allies to share positive stories about disability and work on social media using #PurpleTalk. It can be as simple as a Tweet “I’m Vanessa, I’ve worked in digital communications and inclusion for over 20 years and I manage an ongoing mental health condition’. Or you can signpost to stories for disabled employees on your website using #PurpleTalk.